“VMware Identity Manager” is not accessible. 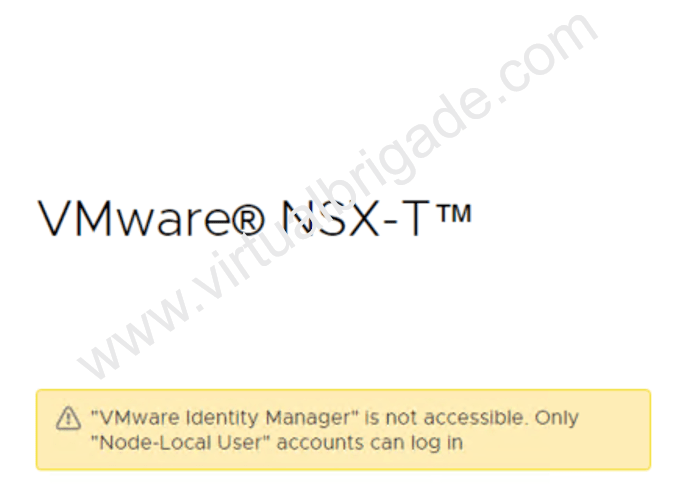 The “VMware Identity Manager” is not accessible.” error is shown on the screen when an administrator tries to login to the NSX Manager 2.4 UI. The actual issue is that the NSX Manager was Integrated with the VMware Identity Manager and was currently disabled on the NSX Manager node. The NSX Manager UI shows the following error message when tried to login to NSX Manager UI. How to fix the “VMware Identity Manager” is not accessible. error? As you can see from the following screenshot, the VMware Identitiy Manager Integration is Disabled.